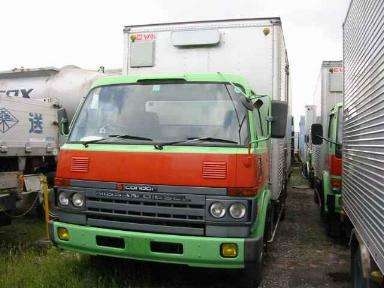 Nissan Condor used Truck for export from Japan. Import used trucks direct from Tokyo exporter. Features Air conditioned, Power steering, Power windows, Exhaust brake, Super long, Box body, Good condition. Shipping cost Contact us for calculation of shipping cost to your country. Total price Truck price US$ 14,600 + Shipping cost to your country + Marine insurance US$ 120 = Total price. Above will be the total calculation. There are no extra charges or hidden cost. Copyrights (C) 2012-2013, Nissan Condor used Truck Japan. All rights reserved.